Some Sh!tty Cover Band brings together 4 members of successful original bands Quietdrive, All The Right Moves, Take Cover, and The Usual Things, to inject life back into what has become a stale and uninteresting arena of live music — covers. 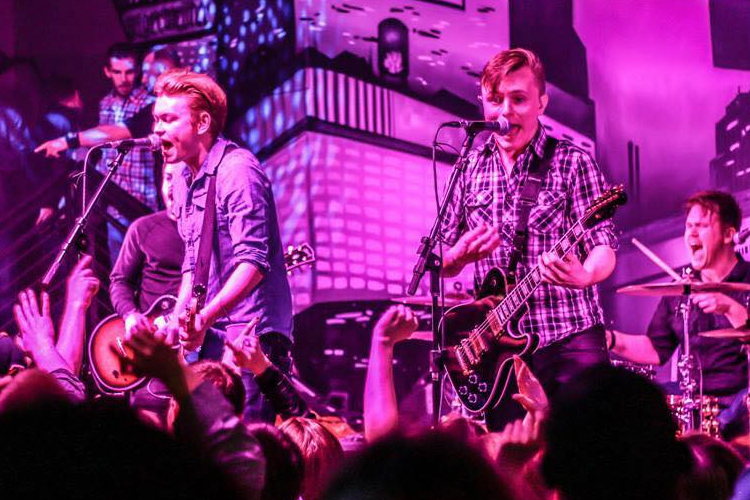 With an exciting show, and a no-frills, explosive stage performance, Some Sh!tty Cover Band draws on experience from thousands of cumulative shows, tours, and hard-won fans in their original acts, to rise above the monotony of the Minneapolis cover band scene. SSCB PROMO Rough (Vimeo) from SSCB on Vimeo.